The Rambagh Palace Hotel (Taj Group) located at Jaipur (Rajasthan, India) is an architectural masterpiece that's elegance personified. 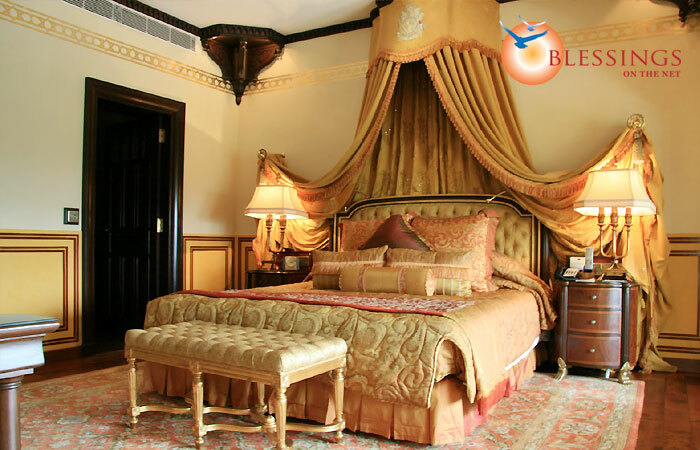 The palace is situated in the heart of the city, close to the main shopping areas and historical monuments. Rambagh Palace is close to the main shopping area of Jaipur. Rambagh Palace offers 90 well designed and exceptionally beautiful rooms including 24 Suites. 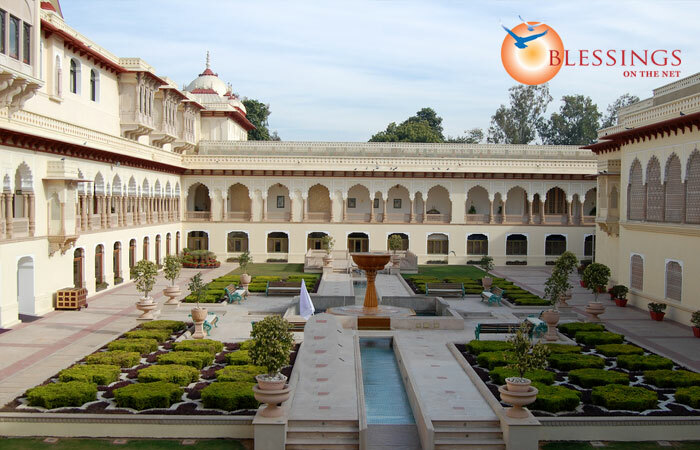 mbagh Palace has 3 restaurants: The Rajput Room, Verandah and Suvarna Mahal. Accommodation for two nights on double occupancy. Transfer to the hotel in a hotel Car. Late & lazy breakfast in bed. One unique dining experience with a choice of set menus once during the stay, with live instrumental music. Different turndown amenity in the room every evening along with special In-room bath set up with scented candles & flowers on one of the nights.